Medifacials are performed to address skin concerns ranging from rough, dull, lifeless skin to sun damage, ageing, hyperpigmentation, congested and oily acneic conditions. When used in conjunction with the correct skin care regime, medifacials can be extremely effective. Here at Clinique Elan we use the most innovative and non-traumatic medifacials available from Advanced Skin Technology. Our philosophy is to stimulate gradual and safe changes in the skin, rather than annihilating healthy skin to achieve results. We have a variety of different medifacials to choose from, so you can feel confident that the correct medifacial, in conjunction with a complete skin analysis and skin history, will be chosen for your individual needs. “Prepping” the skin is a must for the majority of our medifacials to avoid complications. It also promotes faster healing, less down time and quicker, more effective results.The appropriate ‘prep’ regime for each medifacial will be discussed at the time of consultation. If time is an issue and therefore ‘prepping’ not an option, we do offer medifacials that can be done on demand. These are generally the more superficial medifacials, but still active enough to leave your skin looking and feeling gorgeous. Like most of our skin treatments, medifacials are most effective when done as a series. For this reason, we do offer discount when purchased as packages. The Deep Sea medifacial is our most intensive medifacial. It is a potent “herbal” non-acid, plant and herb based medifacial. The Deep Sea medifacial works well for assisting with superficial fine lines and wrinkles, hyper-pigmentation and scarring. Some down time is to be expected following this treatment as well as a strict home care routine to ensure desired results. The Deep Sea medifacial is $275 per treatment or can be performed as a 'mini' Deep Sea treatment (minimal dryness and flaking but still aims to stimulate cell turnover and involves less downtime) for $180. Our very best medifacial to dramatically reduce the visible signs of aging. This medifacial is designed to generate immense activity in the skin, by stimulating significant cell turnover. This medifacial works well for treating fine lines, wrinkles and sun damage by brightening, tightening and perfecting the skin. It will also increase your skin’s own natural moisture level with the use of key ingredients Lactic acid and Vitamin A. Prepping is essential with this medifacial. We recommend a series of three Timeless Medifacials four weeks apart. The cost per medifacial is $200 or 3 for $600. No matter what your age, if you are experiencing breakouts, suffering from excessive oiliness or clogged pores this medifacial is for you! Suitable for the management of mild-moderate acne, this medifacial contains clinical strength Alpha and Beta hydroxy acids which work to deep cleanse pores and perfect the look of oily, congested, blemish prone skin. Prepping is essential for this medifacial. A course of 3-6 is recommended every 3-4 weeks. The cost is $145 per medifacial or 6 for $725. The Blueberry Jessner medifacial is a multi purpose medifacial. Its key ingredients are Salicylic Acid, Lactic Acid, Resorcinol and Blueberry extracts. 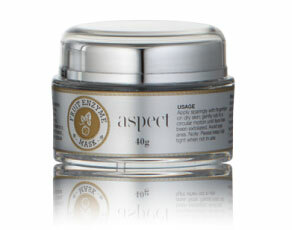 It is excellent for oily, acneic skin, but also has a role to play in helping to brighten dull, mature skins. This medifacial can also be used as a pre medifacial application before other medifacial treatments. If this medifacial is done on its own however, it is more effective when layered. Prepping is highly recommended. A course of 3-4 every 3-4 weeks is ideal. Cost is $120 per medifacial, with each additional layer adding $20. A remarkable and unique clinical treatment designed to rapidly clear away the appearance of brown spots, hormonal marks and other skin discolouration. This medifacial contains Salicylic Acid and Tyrostat - a powerful pigment forming inhibitor as well as Vitamin C for brightening the skin. This medifacial is ideally suited for the management of epidermal pigmentation and uneven skin tone. Prepping is essential for these medifacials, a course of 6-12 medifacials is recommended for best results. The cost is $145 per medifacial, or a series of 6 medifacials for $725. No matter what your skin care concerns are, our Lactic acid derived medifacials guarantee exceptional results every time. These unique medifacials are powerful, yet gentle enough to suit even the most sensitive skins. Their main aim is to rehydrate and very gently exfoliate dull, lifeless skin. Prepping is recommended for these medifacials. A course of 6-12 is the ideal. Cost $120 per medifacial or 6 for $600. The Fruit Enzyme mask is a very gentle medifacial, which we sell for home use. This heavenly, antioxidant-rich fruit enzyme mask is designed to eliminate dead skin build up. With the use of all natural enzymes from the likes of the papaya, pineapple, acai berry and kakadu plum to name a few. This mask is gentle enough to do at home once a week. Your skin will look and feel amazing after this beautiful treatment. Purchase the Fruit Enzyme mask to use at home for $62.10.